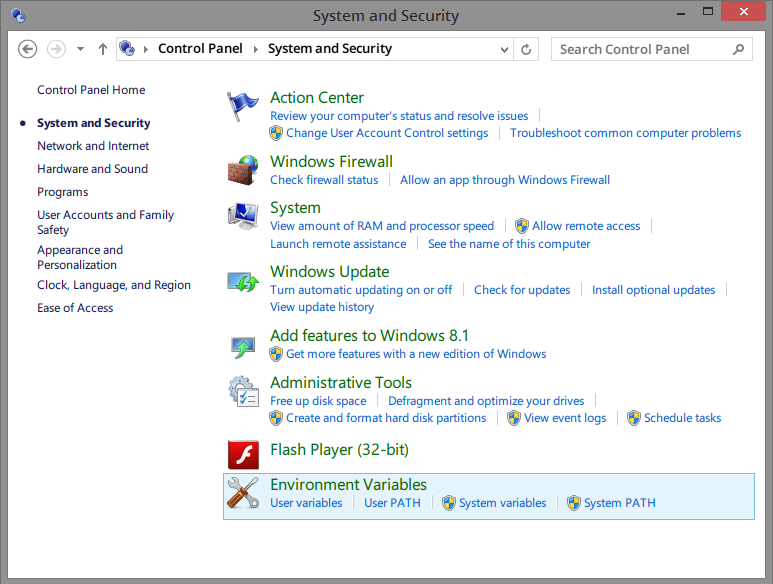 So starting from this version, there will be 2 PATH variable editors: for System and for User ones. Their functionality will be equal except that User PATH editor doesn’t have “Default value” button and there is no such value and initially User PATH variable is empty. This is beta version, don’t forget to backup your PATH variable before playing with the editor. 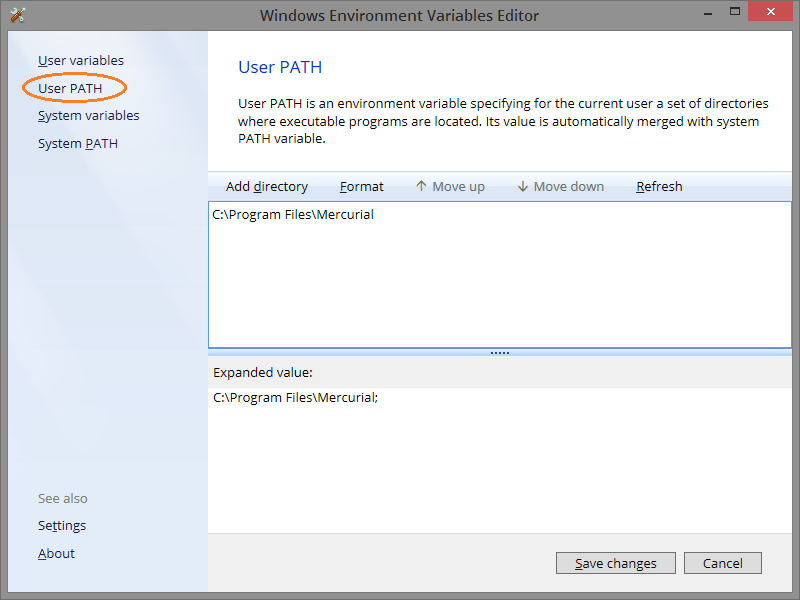 Environment Variables Editor 1.5 Beta 5 helps you to simplify the task of changing order of PATH variable entries. Just open the Path editor tab, select the desired entry or even bunch of them and take them to a better place with “↑ Move up” or “↓ Move down” buttons. In case you are a keyboard lover (as I am), you are more than welcome to use Alt + ↑ and Alt + ↓. Again, it is in beta stage, don’t forget to backup your PATH variable before playing with the editor.